With a new year underway, it’s tempting to do some self-evaluation… and inevitably, there’s always room for improvement. So go ahead and commit to a “new you” as a trained and certified IT security expert with this big-time 2017 IT Security and Ethical Hacking Certification Training bundle. This package of courses covering all aspects of cyber-defense is available right now for $29.99 from TNW Deals. And if you’re really serious, use the coupon code NEWYOU30 to get an additional 30 percent off the sale price. With over 35 hours of training, this bundle will take you from basic fundamentals through advanced principles used to secure IT networks, spot and manage security risks and stop any trouble spots in your IT network before malicious hackers can exploit your systems. 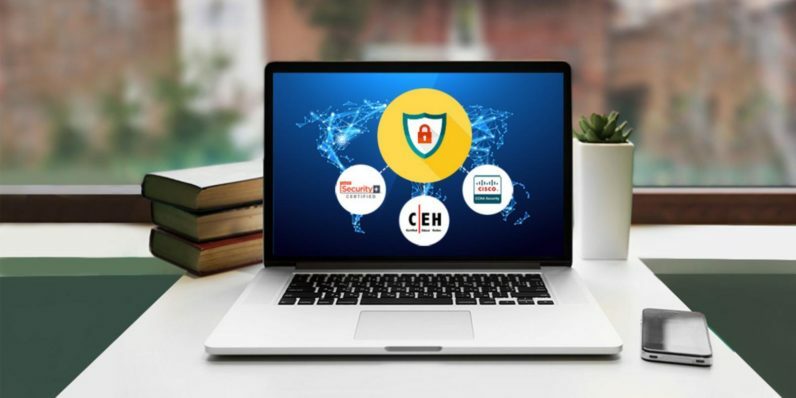 Using readings, labs, games, and other activities, you’ll come out aimed with knowledge in cryptology, ID management and access control and more — enough to take and ace the CompTIA Security+, CCNA Security, and CEHv9 Ethical Hacker 2017 certification exams. It’s a veritable smorgasbord of tutorials designed to hone your cybersecurity skillset to a razor-sharp edge. Grab the 2017 IT Security and Ethical Hacking Certification Training bundle for over 90 percent off from TNW Deals, and save even more with code NEWYOU30 at checkout.